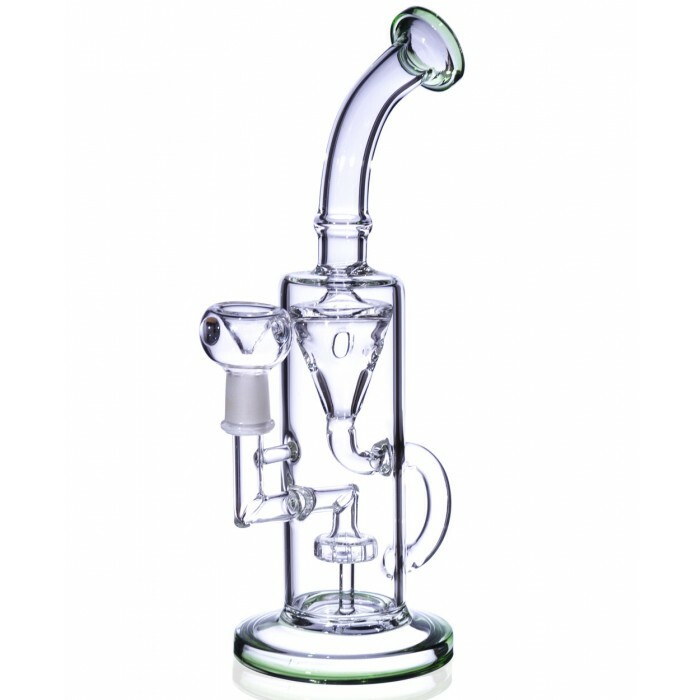 You’ll find a tree perc in the middle of the water pipe bubbler with several arms or finger percolators. Each finger contains tiny slots. The fingers force the smoke to go through a long path making it very smooth. 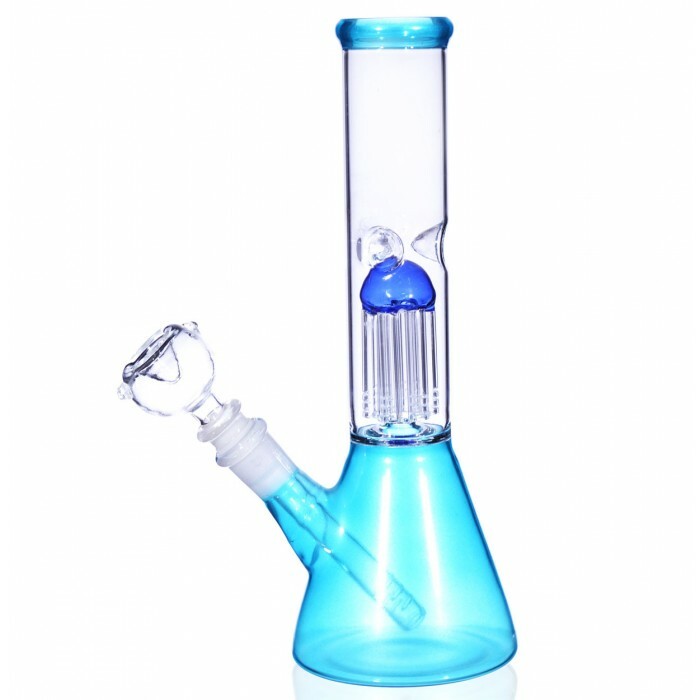 This high quality, heavy duty water pipe is made of borosilicate glass and has a sick Blue head on top of the tree perc and a matching dry herb bowl. 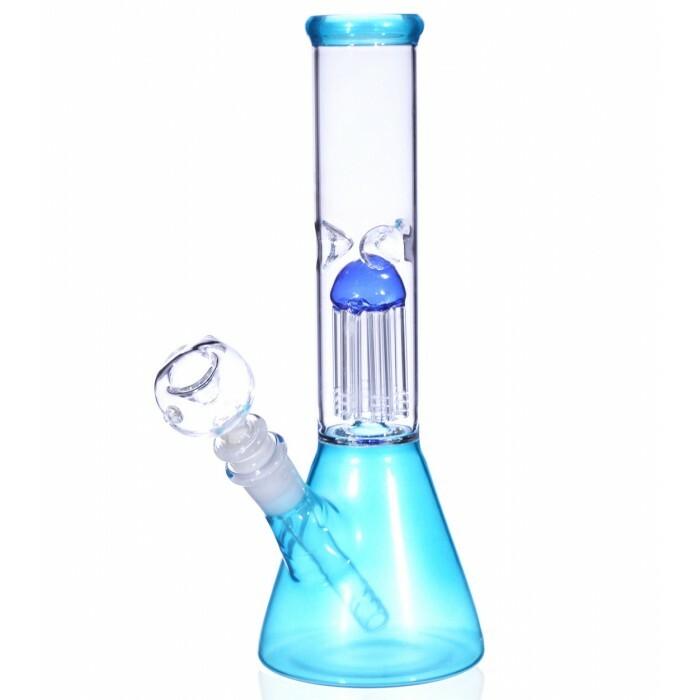 It also features an ice catcher found on the neck of this outstanding water pipe. 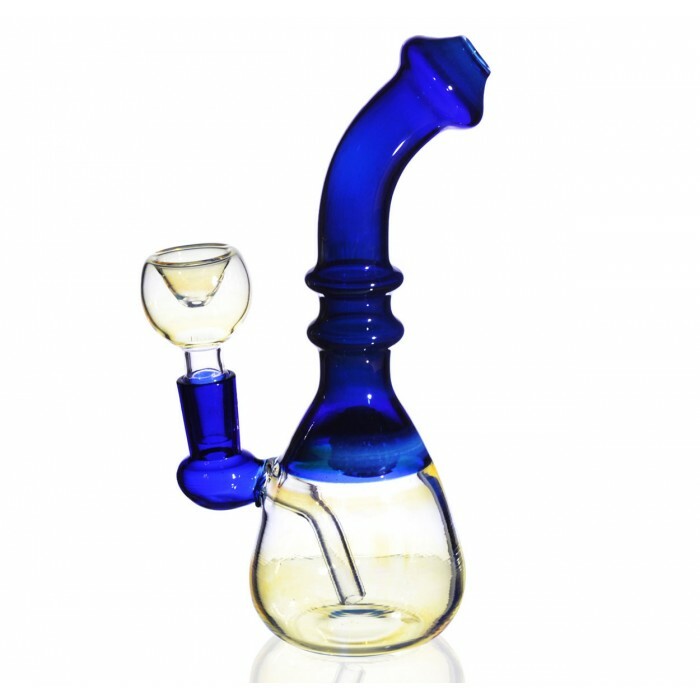 The base of the pipe has a one of a kind look that you won’t find on a typical pipe. 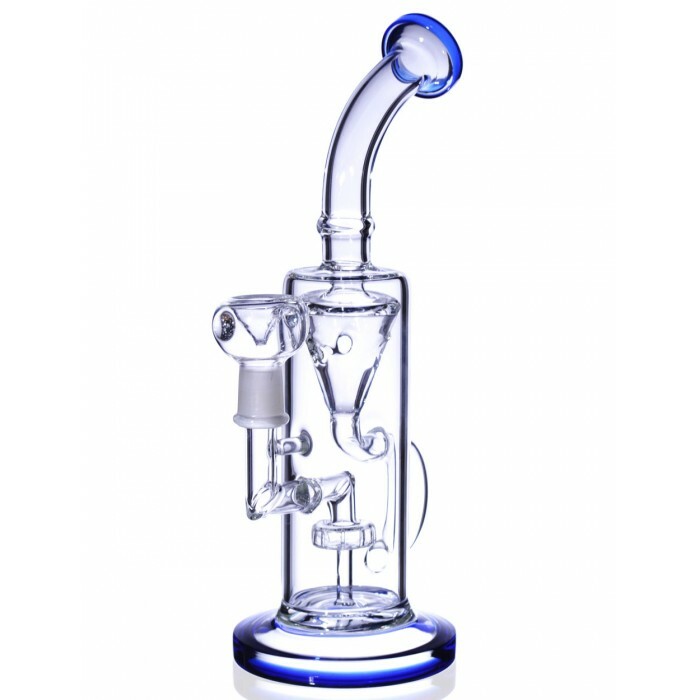 Which makes this water pipe really standout is a slotted downstem. 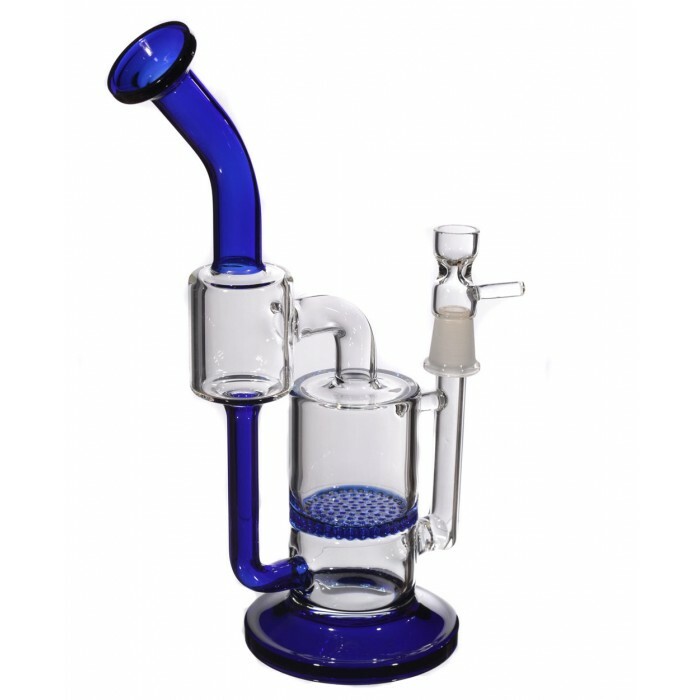 Dry herb bowl included, 3.5” diameter water chamber. 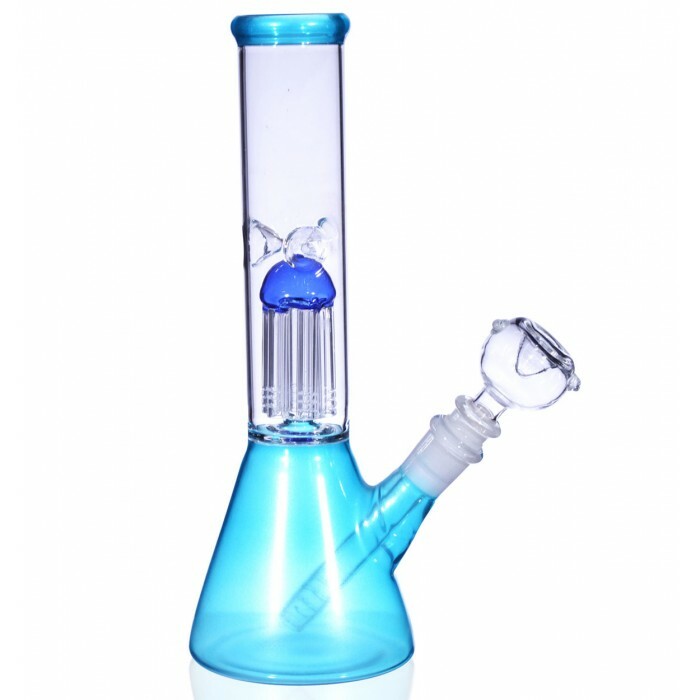 Water pipe 19 mm female joint comes with 14 mm male dry herb bowl.